Domaine Emmanuel Rouget began in 1985, which by Burgundy’s standards is quite recent; but in that time it has attained almost mythical status among collectors worldwide. Located in Falgey‐Echezeaux, the domaine’s holdings lie predominantly in the appellation of Vosne‐Romanée, Vosne‐Romanée 1er Cru, and Echezeaux Grand Cru. There are holdings in Côtes de Nuits‐Villages, Savignyles‐Beaune, and Nuits‐St‐Georges as well. The history of Domaine Emmanuel Rouget is forever tied to the famous vigneron Henri Jayer, Emmanuel’s uncle. By the early 1980s, Henri had already become one of the most legendary winemakers in Burgundy, influencing a generation of young vignerons in Burgundy and around the world. Henri began to think about the future of his domaine and though he had two daughters, neither of them were interested in making wine. In 1985 he took on his nephew Emmanuel Rouget as his protégé and began leasing some of his vines to him. Over the years, Jayer gave up more and more vines to his nephew. In 2001, following his retirement, all of the his vines went under the control of Emmanuel Rouget, including the Georges Jayer vines, which have been vinified in the cellar of Rouget since 2002. 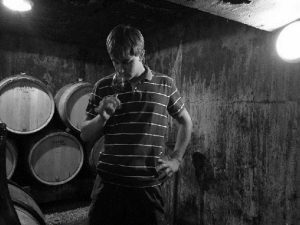 Since 2011, the control of the domaine has passed to Emmanuel’s two sons Nicolas and Guillaume. Nicolas keeps watch over the vineyards while Guillaume is principally in the winery. 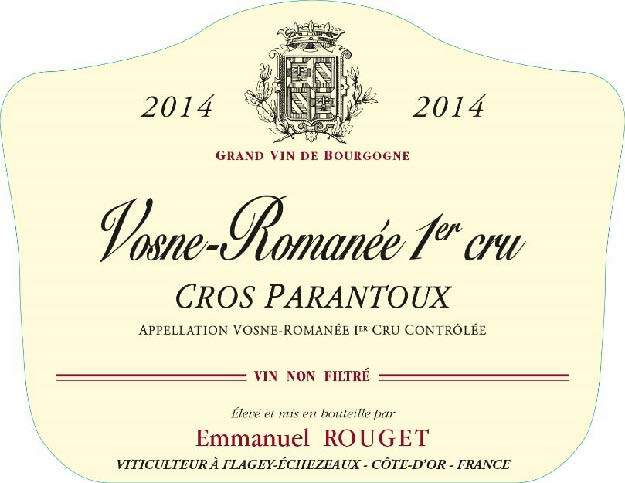 Without question, the story of the domaine cannot be told without mentioning its’ most famous vineyard, Cros Parantoux. The history of the Cros Parantoux vineyard begins with Henri Jayer. The vineyard itself, which sits just above the Grand Cru of Richebourg, had fallen into disrepair in the years between the first and second world war. By the 1940s, it was nothing more than forgotten brush land. 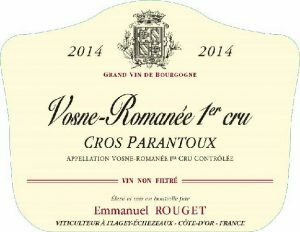 Jayer acquired his first parcel of Cros Parantoux in 1951 and in the first few years, he had to use more than 400 charges of dynamite to soften up the soil so it could be planted. The first planting was done in 1953 and he aquired his last parcel in 1970 which brought his total holding to .72 hectares. Today, those same .72 hectares belong to Emmanuel Rouget with the remaining .28 hectarres of the vineyard belonging to Méo‐Camuzet. Not much has changed here since Emmanuel first began making wines under the watchful eye of his uncle. The vines are still farmed with a respect for nature, that is to say no pesticides or herbicides at all, and organic treatments are used almost exclusively. The grapes are destemmed just as Jayer did, and the wines are fermented in concrete vats before ageing in barrel. Chez Rouget, the ageing is often a full 20 months or more before bottling.